India - a Tourists paradise: Religious - Why to go to Church or temple or mosque? 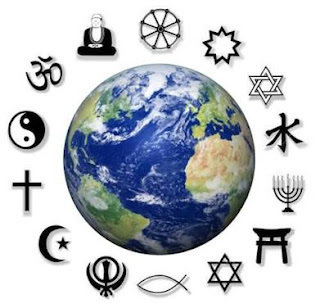 Religious - Why to go to Church or temple or mosque? A Church goer wrote a letter to the editor of a newspaper and complained that it made no sense to go to church every Sunday or Saturday. He wrote: "I've gone for 30 years now, and in that time I have heard something like 3,000 sermons, but for the life of me, I can't remember a single one of them. So, I think I'm wasting my time, the preachers and priests are wasting theirs by giving sermons at all". When you are about to forward this to others, the devil will discourage you. So go on! Forward this to people who are DEAR to you and TRUST GOD.